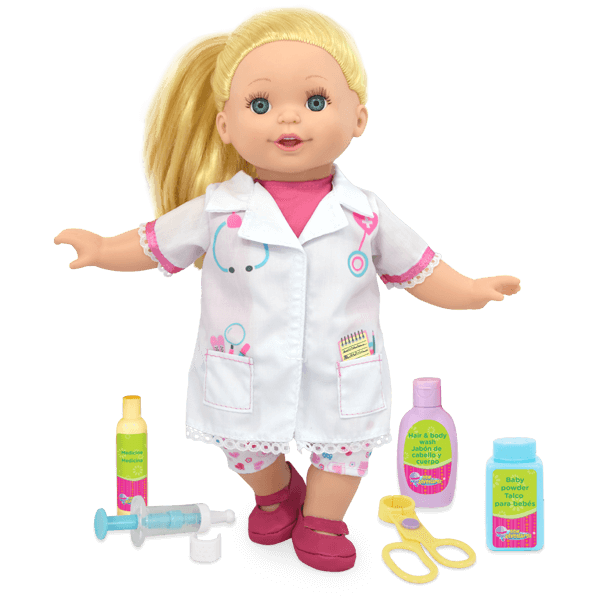 This doll loves to care for others. 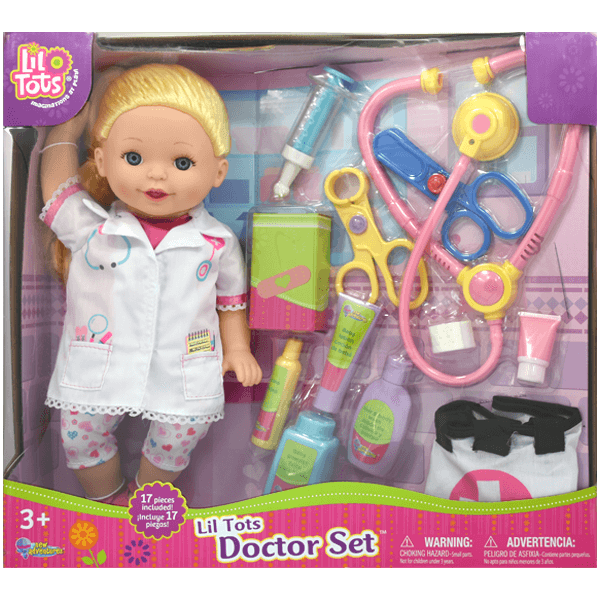 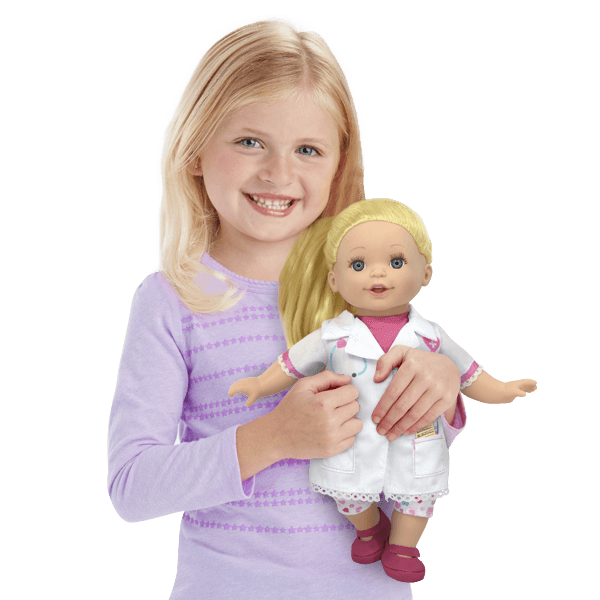 Includes: 14″ Doll, stethoscope, 5 play bottles, syringe, bandage, bandage box, scissors and clamps. 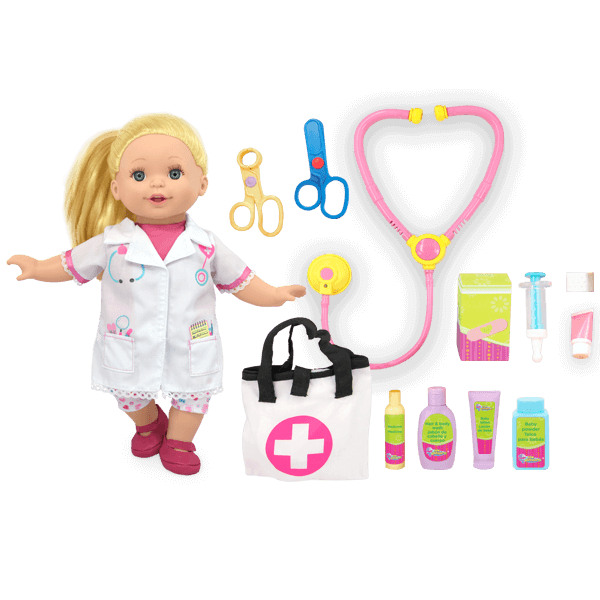 Everything needed to care for your doll & keep her healthy!